Queen’s “Bohemian Rhapsody” has moved into second place on the list of highest-grossing music biopics in the US after another successful week in theaters. Rolling Stone reports the story of the UK band’s rise to international stardom earned another $15 million at the US box office in its third week of release for a new total of $127 million to date overall. The Queen project now only sits behind music biopic box office champ “Straight Outta Compton” – which depicts the rise and fall of rappers N.W.A. and made $161 million over its domestic theatrical run in the summer of 2015. “Bohemian Rhapsody” moved into second on the list after pulling ahead of the 2005 Johnny Cash biopic “Walk The Line”, which made $119 million in the US. 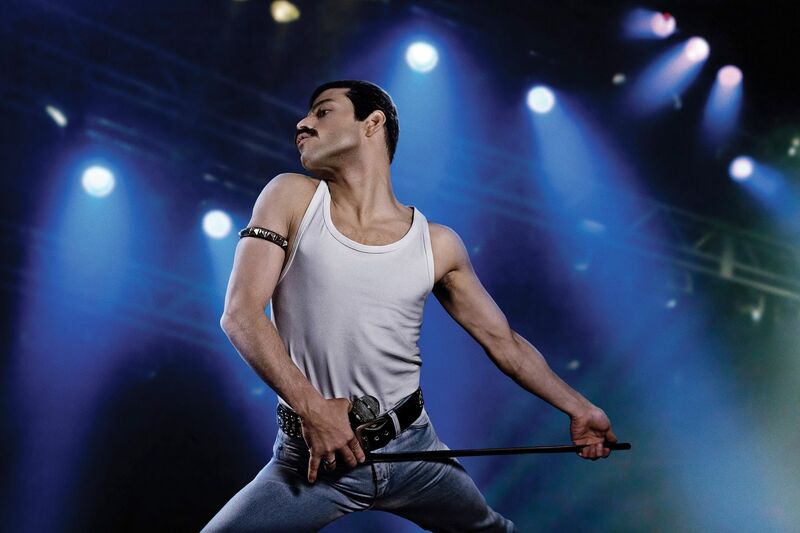 Directed by Dexter Fletcher, the film stars Rami Malek as Freddie Mercury and follows Queen from their creation in 1970 through to their legendary 1985 Live Aid appearance. The project’s success has helped push Queen’s iconic 1975 hit, “Bohemian Rhapsody”, back onto the US singles charts. The song re-entered the Billboard Hot 100 at No. 33 through a combination of digital sales and streaming gains to achieve the rare feat of a third appearance on the chart with three separate Hot 100 runs in three different decades.